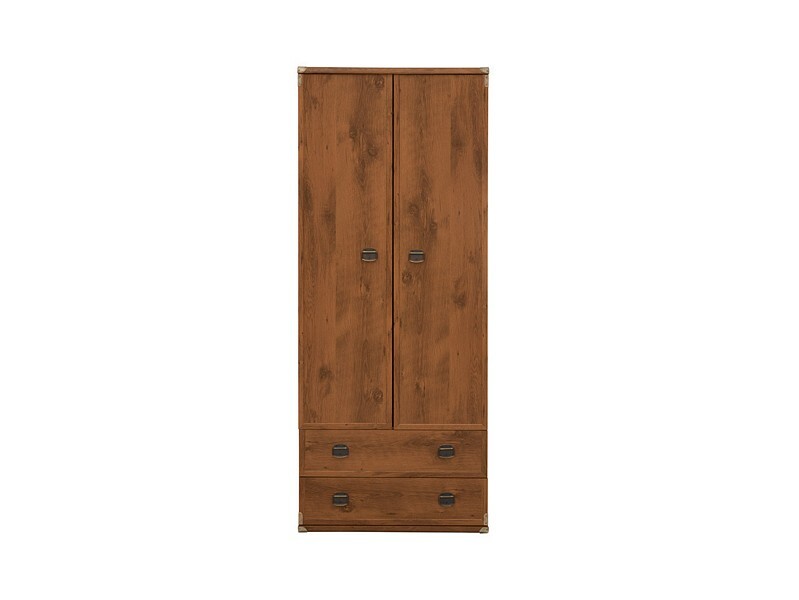 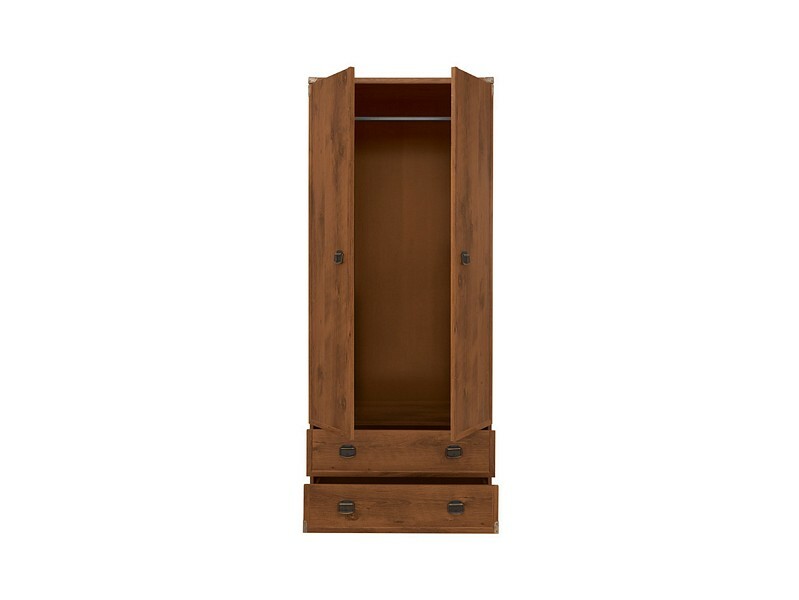 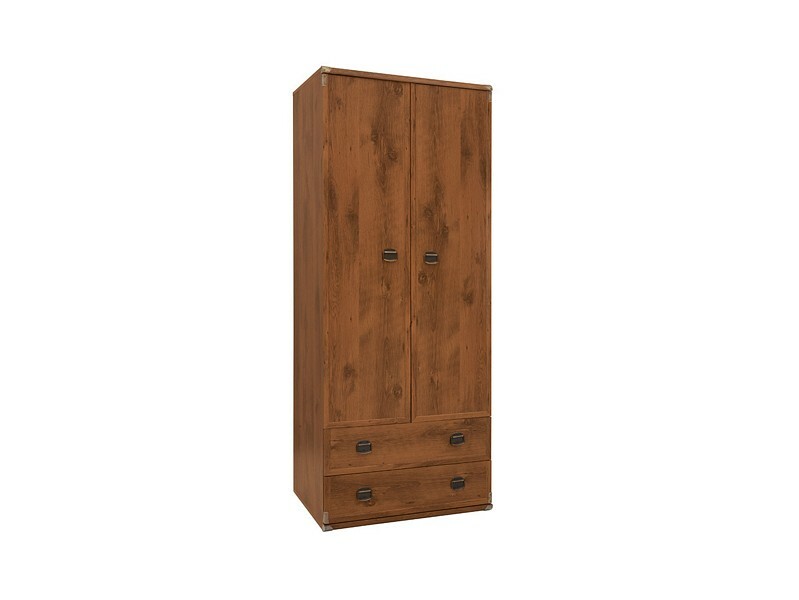 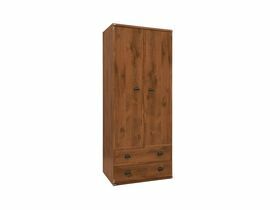 2-door Indiana wardrobe is characterized by large available space that is great for storing your clothing. 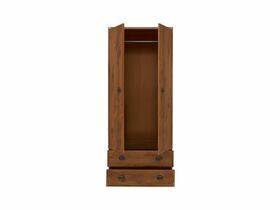 - Practical, metal hanging rod is great for comfortable storage of clothes while two practical drawers are great for underwear and personal belongings. 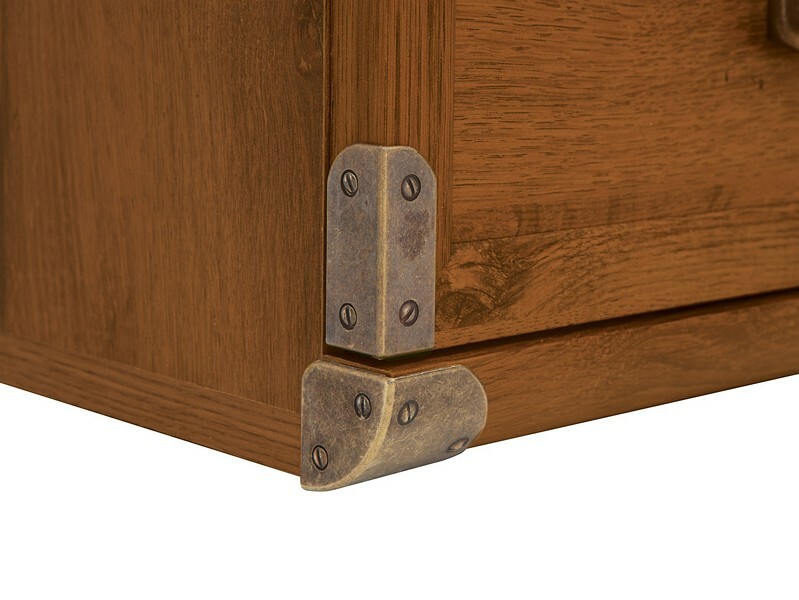 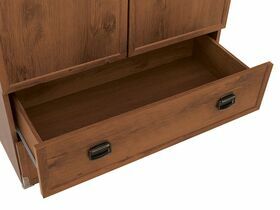 - Drawer slides with blocking mechanisms allow for comfortable and safe use of the drawers. 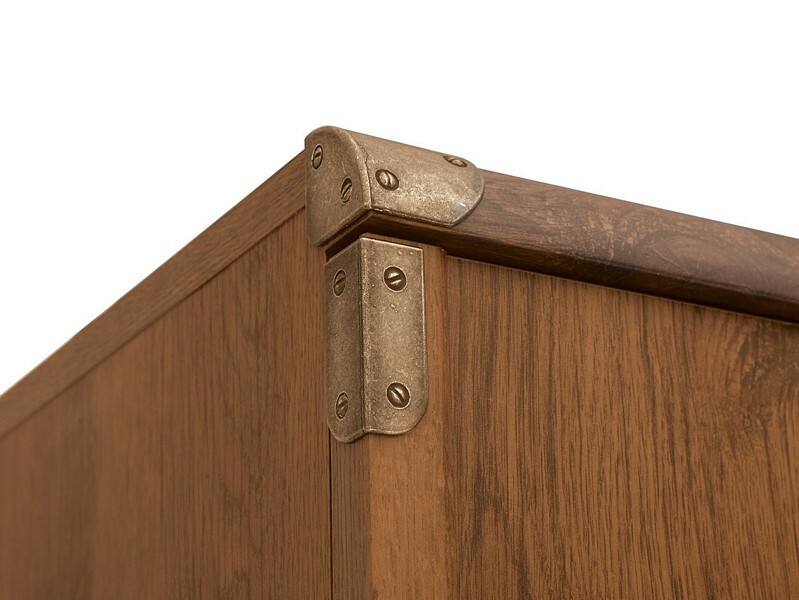 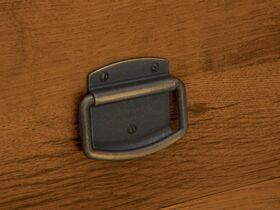 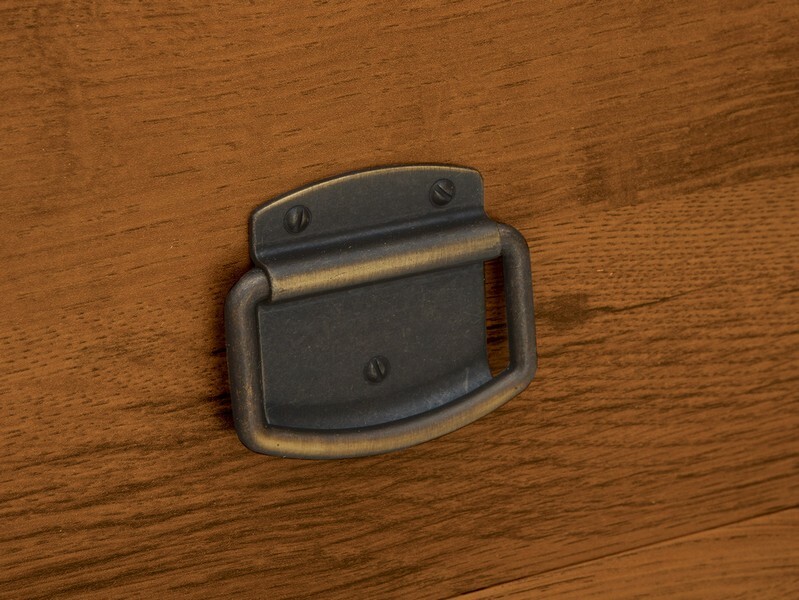 - Characteristic, aged fittings and interesting handles emphasize unique style of this piece of furniture. - TV cabinet is available in two stylish color options. 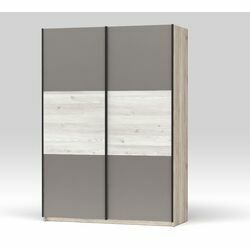 Original sutter oak or Scandinavian white canyon pine – decide, which of the colors suits your home the most.